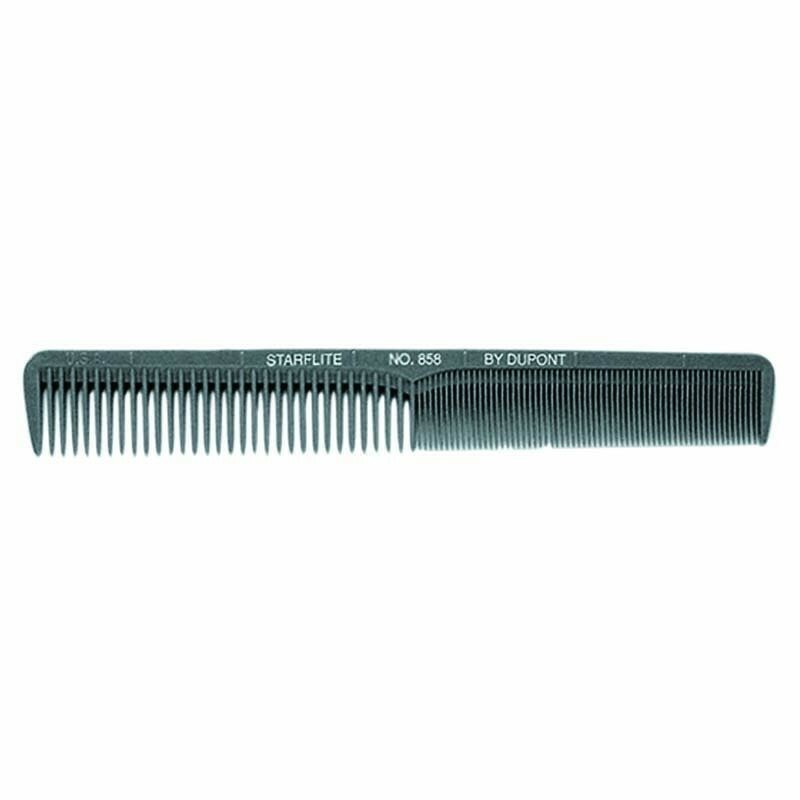 The Starflite Cutting Comb SF858 Grey is made from hi-flex DuPont Delrin plastic, making it static free and heat resistant. 178mm. 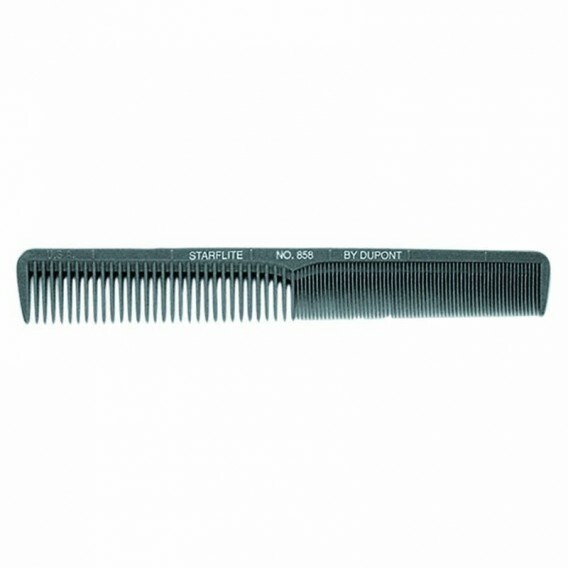 The Starflite Cutting Comb SF858 Grey is made from hi-flex DuPont Delrin plastic, making it static free and heat resistant. 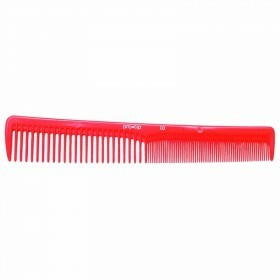 The teeth have been heat treated so that they do not scratch the scalp. 178mm. 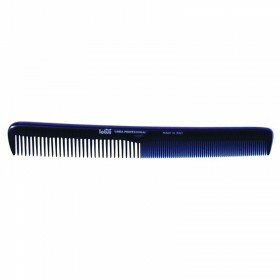 Decent quality comb for a very good competitive price.